I ordered the snap version and was accidentally given the velcro - a happy accident. Dad is very happy with the velcro and it's very soft - not scratchy at all and the laundry tabs are effective. These fit really well. The leg elastics aren't hard to adjust at all. We get a nice trim fit and can add our own absorbency. I like the stay-dry inside and will probably try out the echo too. I will definitely purchase these again. I find the Softbums a little bit difficult to get a good fit with the legs. The sliding sizer seems like a genius idea, but it is tough to get it just right. 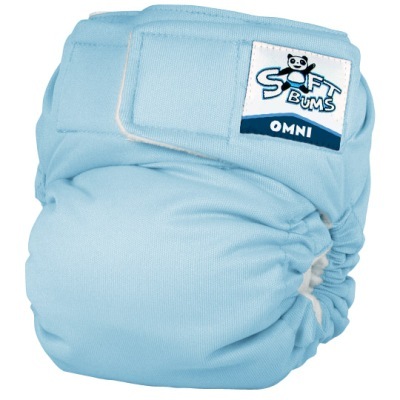 However, once you do get it, these are a great diaper. Definitely need the larger insert though. The smaller one is too skinny, and I get leaks out the side all the time. 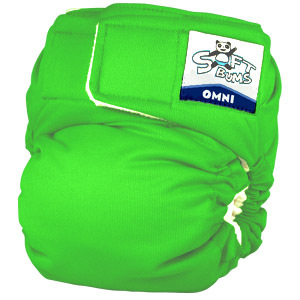 The SoftBums diaper has unique toggles to adjust the rise and because of that they are easily our favorite diaper of all time. So easy to use and so cute!! My favourite hook & loop! 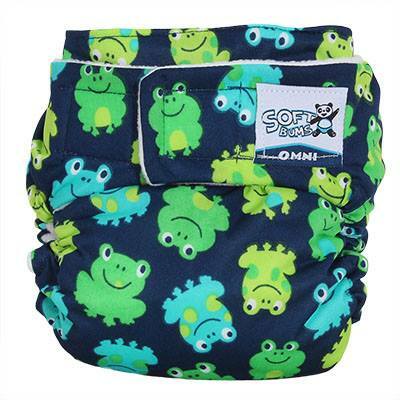 These are such great diapers, the hook & loop option in particular (I'm not a fan of the snap version). 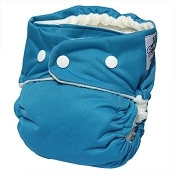 I love the look of the diapers without rise snaps and I'm excited to try them out on a newborn, if and when I have another. You do have to be a bit careful with the fit (getting the diaper into the leg creases) to avoid red marks but once you get the hang of that, it's smooth sailing. 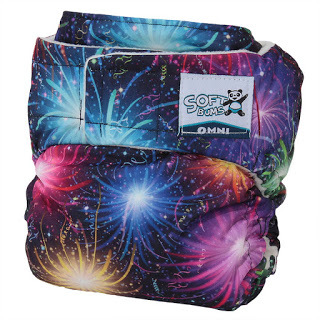 I love this diaper shell paired with a SoftBum SuperPod for bedtime. She still leaks through occasionally, but that is usually because she has been up more during the night to feed. These would work perfectly fine during the day, but I prefer the trimmer fitting SoftBum Echo. 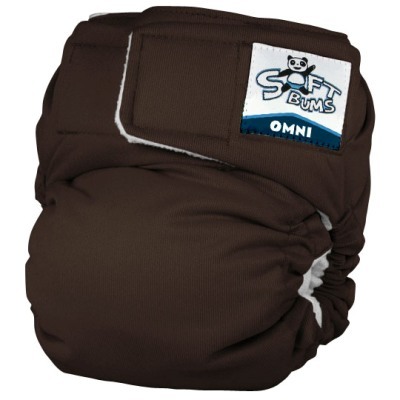 The Omni is easily adjustable (like the echo) to get a great fit always, and it never leaves red marks. 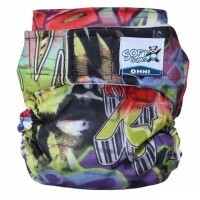 I can't get over how much I love these diapers!! 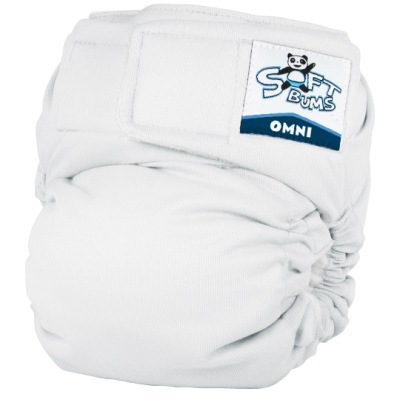 They have slide to size elastics so you get a perfect fit every time! 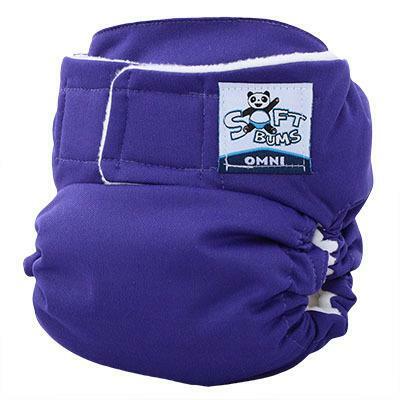 They are super easy for dads, grandparents and baby-sitters to use!! We love them so much! 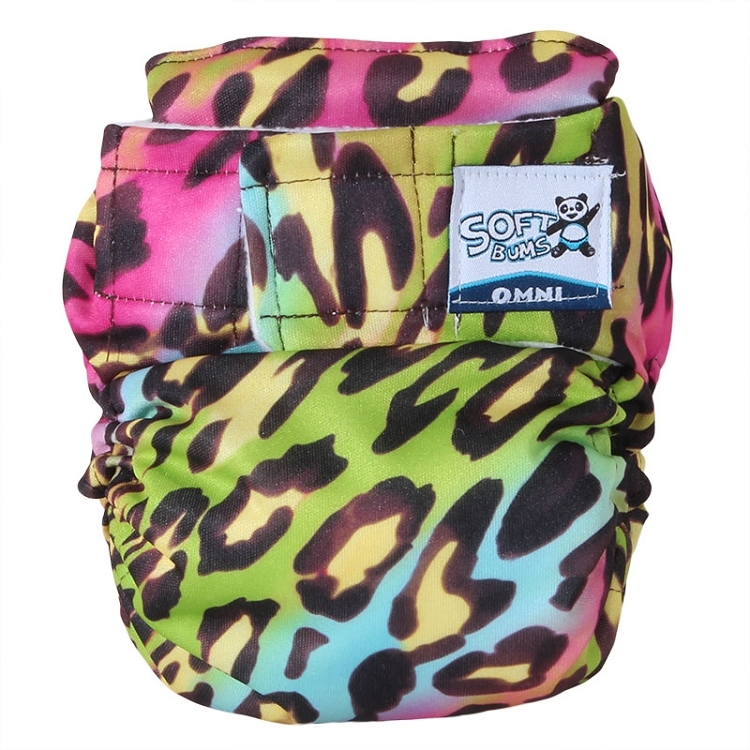 This diaper was a lifesaver for us! I use a stay-dry insert snapped in and stuff the pocket with a bamboo/hemp flat and my crazy heavy wetter baby who hates feeling wet sleeps all night long with no leaks and no fussing. 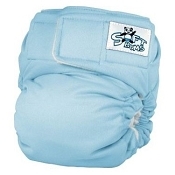 This is a good, easy to use diaper. 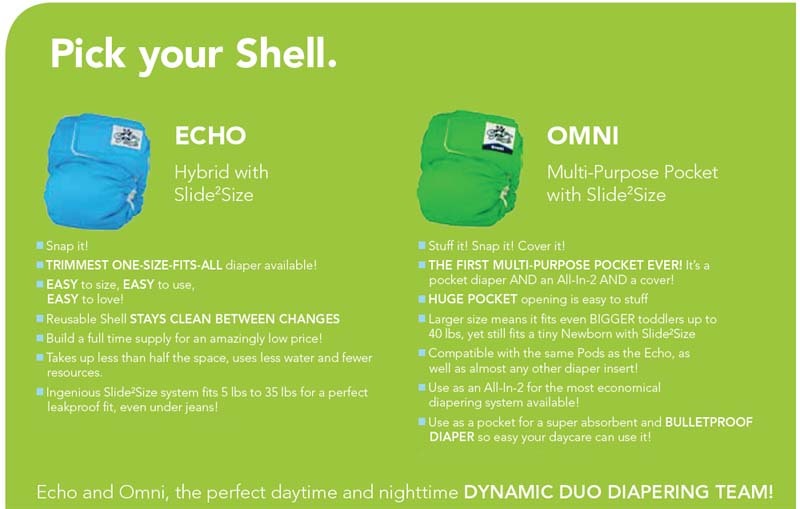 I prefer the Echo because it fits my skinny baby a bit better. This whole slide 2 size thing is brilliant. No confusing rise snaps=happy dad and grandma plus extra cuteness. Just snap in the insert and voila! It goes on just like a sposie. 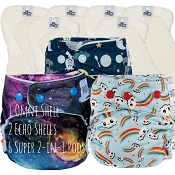 I love the soft fleece, I can reuse shells by airing them out but I don't have to worry about red marks or uncomfortable PUL against her skin. The Hook and Loop works better and lasts longer than others, and the single row snaps add to the ease for dad. Softbums are our favorite and we're collecting them for a full stash!